When I was growing up in the Netherlands Valentine's day wasn't celebrated and it only became popular in the last twenty years or so according to a post on My Heritage Blog https://blog.myheritage.com/2009/02/valentine-in-the-netherlands-1/. What then? The closest to a Valentine I can think of is the "poésie" or poetry album (like an autograph book) that belonged to my great grandmother, Julie Wilhelmina Scherius. So, for the 52 Ancestors week 7 prompt "Valentine" this will be my inspiration. This is the rather battered looking "poésie" album, indicating lots of active duty. You can still see how ornate it was, gold embossed lettering and decoration and the pages were edged in gold as well. Quite splendid. Here she is aged eighteen years. Julie was born 13 October 1860, in Probolinggo, Java, Dutch East Indies (modern Indonesia), where her father was the "resident" (like a governor). 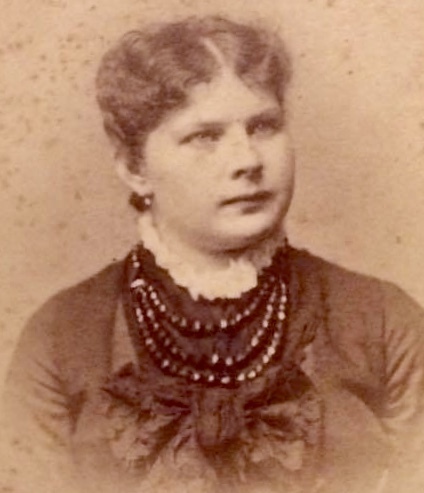 Her mother was Caroline Charlotte Nagel, who was herself only eighteen when she married Reinier Scherius who was forty five years old, on 17 December 1855. They had nine children and Julie was their fourth child. Six years after she was born, her father retired and the family moved back to the Netherlands. There are many entries, mostly one to a page, dating from 1874 to 1879 but most are from 1877, when she was seventeen years old. It could be just a few words, usually a verse, or verses, expressing affection, friendship and words of wisdom, or lengthy poems, going for pages. Some entries are illustrated with a little pencil drawing. There are full page drawings as well, depicting quite sombre landscapes of rivers and water falls. Even a scene of a cemetery! Leafing through the album I find the entry by J H Peelen, Jan Hendrik Peelen, who was to marry Julie in 1885. Was this the beginning of their romance, I wonder? He quoted a french poem, but I don't recognise the name of the author and neither does Google. I tried Auguste Ouveran, Auguste Claveran, Auguste Cluveran, but no matches. So, it will remain a mystery. "L'amitie dans mon coeur vous gardera toujours" - "the friendship in my heart will keep you always". It is not dated, but the page next to the entry by Frans Wurfbain, who signed as "uw friendje" which translates as your little boyfriend, is dated 28 January 1877 so possibly Jan Hendrik Peelen's entry was around that time too. In another post relating to Julie Scherius (Letters from the dead) I mentioned the little poem about their later courtship, which was probably written for the occasion of their wedding on 15 July 1885. This tells of them meeting at a dance party in The Hague, hosted by a cousin. "When you hear this bird's song, our friendship will be gone. Your loving little brother Rudolf, 9 years old. " She was a well-to-do farmer's daughter - this was a note about my great great grandmother Lijsbert (or Lijsbeth) Beintema in the familytree. 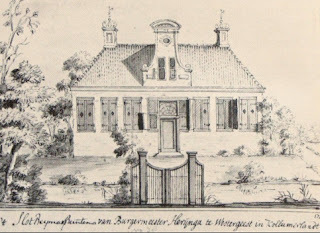 Her father was Douwe Johannes Beintema (1779-1840) and the subject of this post prompted by "on the farm" for week 39, 52 ancestors challenge 2018. 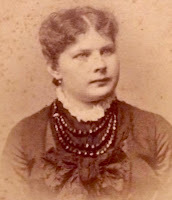 Lijsbert (Lijsbeth) was born in 1820. 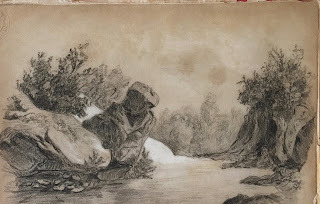 Douwe was forty one years old and a wealthy farmer and property owner. He is listed in many legal documents either as the seller, the buyer, the creditor, or the guarantor. Looking at the historical context it looks like Douwe was born at the right time and in the right place. 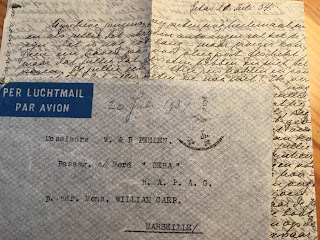 For this week's theme (week 35) - back to school - my story is about my uncles Will and Rein Peelen, who were sent from the Dutch East Indies back to the Netherlands on their own as teenagers for their education. This was a common practice for families in the Dutch East Indies. This is a fictionalised account, based mainly on the letter dated 20th July 1934 by Meta Peelen-Reith to her sons in my personal collection as well as a chapter from the memoir "A Wandering Tulip, the story of Gretel Peelen" by Ceris Arns, together with my own recollection of my mother Annemarie's stories and my memories of travelling by sea. I wrote it for an assignment for the Diploma of Family History unit Writing the Family Saga at the University of Tasmania. A Family Heirloom - Mourning Pin.